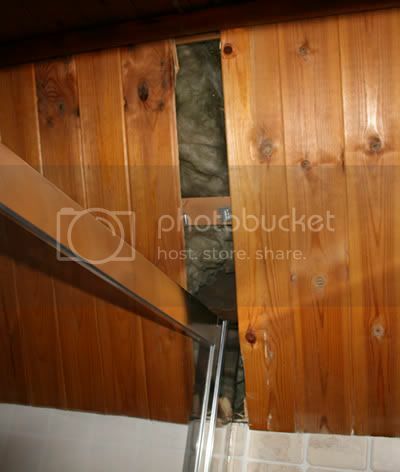 I need to glue a wooden tongue and groove ceiling panel back in place above a shower (as shown below). Which wood glue would you recommend? I don't want it to be weakened by condensation. Also, I guess it would need to bond quite quickly, otherwise the panel will fall out of position. Or, should I use something to keep the panel in place as it dries, e.g. masking tape. you need an exterior pva wood glue but looking at the photo you have damage to your board.matchboard are placed one after another during fixing ie tongue and groove,so to take a middle section out without damage is impossible. The remedy is to take the old board and split the back part of the groove completely out with a stanley knife,thus forming a rebate apply glue to tongue and rebate and slip back into place.